He's so darn cute, isn't he? I love products like these that are not only adorable, but also serve a purpose. 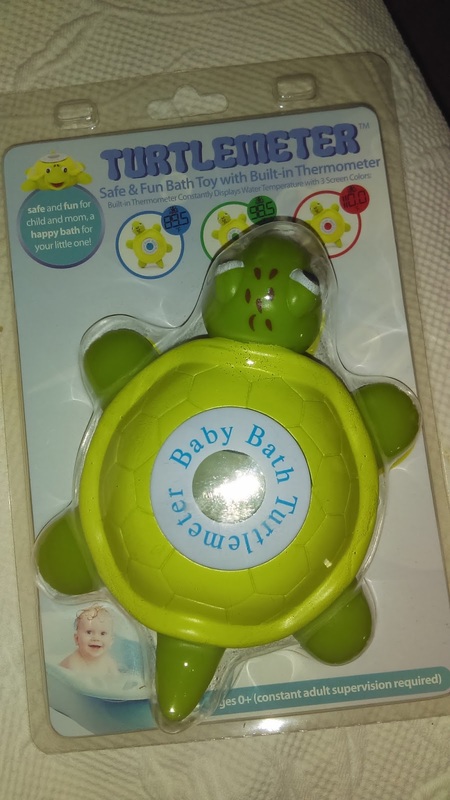 This turtle is fun for my baby and it also tells me the temperature of the water before I put her into the tub. It's bright, it's colorful, and it's BPA free. It does take a few batteries, but those are already installed (big plus there), and they can be replaced by unscrewing the bottom. I would make sure to screw the bottom back on tightly and also make sure to install after the device is fully dry so as not to get water inside. I haven't experienced any issues with this leaking and I've been using this device everyday. 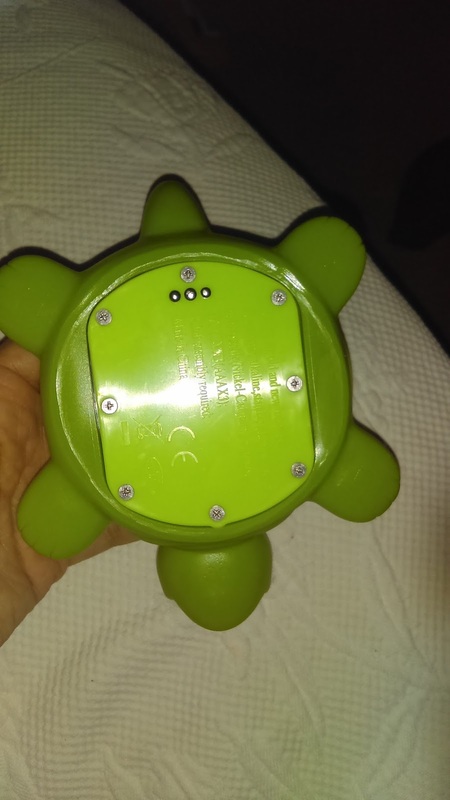 I always make sure to take it out after my baby's bath and place it somewhere to air dry, since if you leave it in the water or in a wet spot, it will continue to try and read the temperature. Obviously this will continue to use battery power. The thermometer is easy to read and it lights up in red for hot, green for warm, and blue for cool. As for accuracy, it may be off by a couple of degrees, but for the most part it will still register whether or not the water is too hot. Not only do I use this, but I also test the water with the inner part of my arm as well. I would love it if there was a smaller version of this guy. This one is not huge, but it is slightly too big to really move around in an infant tub, especially if you have a large baby. My daughter is pretty small, so it's not too much of an issue for her, but I could see how it might be too small for some others. In a regular size bathtub, however, there really shouldn't be any problems with space. 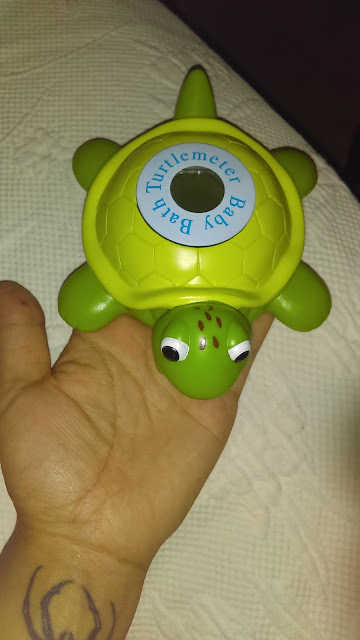 You can buy a turtlemeter here.